The waiting is almost over..
.. and boy are you going to think it’s worth it. From Without has been mastered, and is going into production ready to be sent out to the good folks who made it a possibility by paying up front for it. Back in April I wrote a review based on some of the rough-cut tracks I’d been privy to, subsequently I’ve been lucky enough to hear a number of the iterations of mixing that occurred and finally the mastered full album this evening. And wow, what a treat. I’m not sure if posting this is torturing folk who’ve waited or help with anticipation. In the recent radio interview Ken talked about From Without and how it was inspired by Karl Marx. More specifically the inference that revolution can’t be triggered solely by the proletariat but would need help from without their ranks. Of course all the speculation and misinterpretations were fun – but undoubtedly this is an album that has a strong political underpinning almost throughout – be it contemporary or historical – there’s anger and cutting observation. Whether it be what sounds like a summary of Iain Duncan-Smith’s assault on the disabled and the farce of the bedroom tax in Living on Thin Air (this is the track, you’ll remember, that was co-written with Nick Burbridge), historical accounts like Ruby Bridges, Crime and Punishment and more recent history in the form of Marikana Massacre or the hauntingly sad-yet-beautiful Slow Motion Suicide charting the demise of a jobless miner in the wake of the pits being closed – there’s clear messages of the disenfranchised ringing through the opening nine tracks of the album. As you’d expect though this is artful protest, and for all the rabble-rousing mosh-generating bedlam there’s moments of tenderness too like Unconditional (complete with a full-band outro), gorgeous orchestral strings only add to the sombre mood for Slow Motion Suicide and really add to the richness of pseudo love ballad Mairi’s Wedding Part III – sometimes these moments are delivered in-song, be it the reggae interlude for Marikana Massacre or the middle-eight in Living on Thin Air. 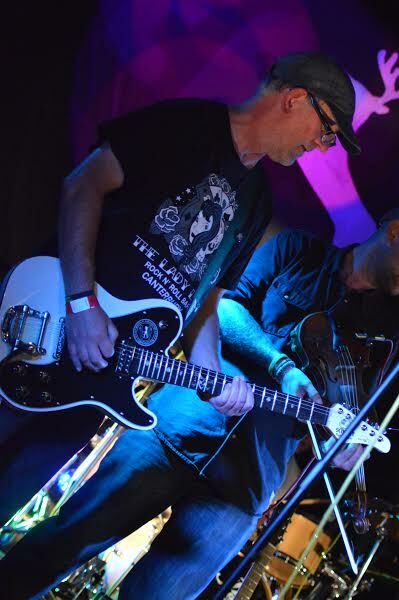 I’m expecting a more prominent stage placement for an epic guitar solo from Les in the future! (thank you Snotty for the photo). The unexpected highlight for me so far though has been I Stand – it’s a song I only heard once at The Bodega gig right at the start of the spring tour, and to be honest, time and alcohol consumed that night make it a hazy recollection but certainly, seeing as that was Les’s first gig I suspect he’s added more of himself to the recorded version – I’m hoping to get to see a live version with a bit more of his awesome guitar work on there, I’ve already told Dan to make sure he’s got it turned up when it does get another airing! It’s been a real treat to have listened to these songs initially as live performances then hear them evolve through the recording and mixing process. Something that happens all the time, but rarely visible from without (huh, see what I did there?) but really does bring home the tireless craft that goes into not just writing music but tweaking and perfecting it – this album feels like a real coming of age that more than justifies the extra time it’s taken to get ready for production. 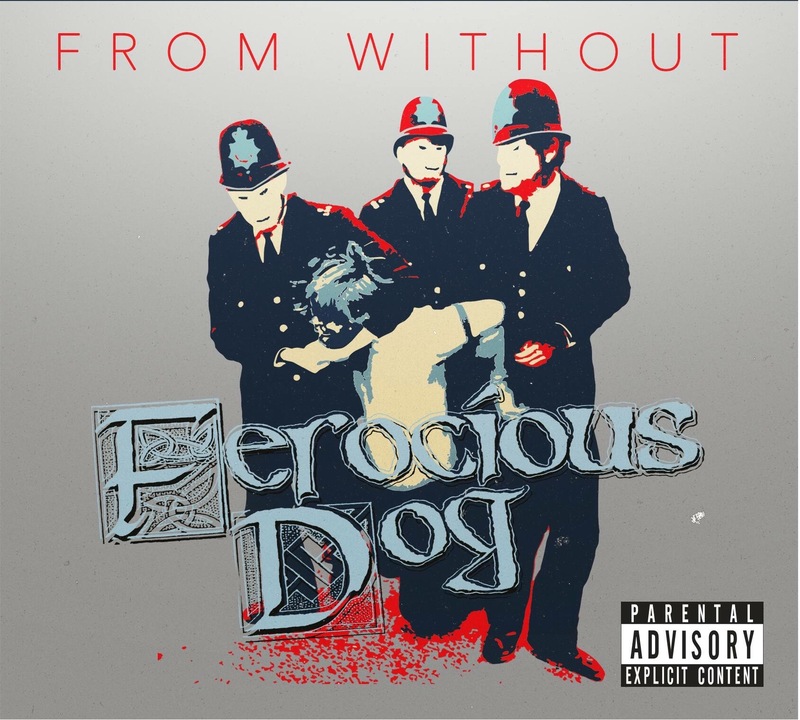 The nicest part of the story goes back to the first point I made though – this was made possible by the support of the fans who put their cash up upfront, who pledged amounts to have their names printed in the album, who backed Ferocious Dog to deliver the goods – because without that the quality of production, mixing and mastering wouldn’t have been achievable. Of course, the song-writing and performances of the band are pivotal to the finished product, but it was the hell hounds that gave those songs and performances the opportunity to sound the best they can once recorded. Production is underway – if you’ve pre-ordered the album then you should have them in your hands in time to learn all the words ready for the tour kicking off in autumn. It has been worth the wait, even if it had been a Christmas arrival it would have been worth the wait. You’re going to love it. On another note, I’ve still not managed to work out the Stone Roses references in either the debut or new album that Dan mentioned on Facebook the other week – and I love the Stone Roses too!